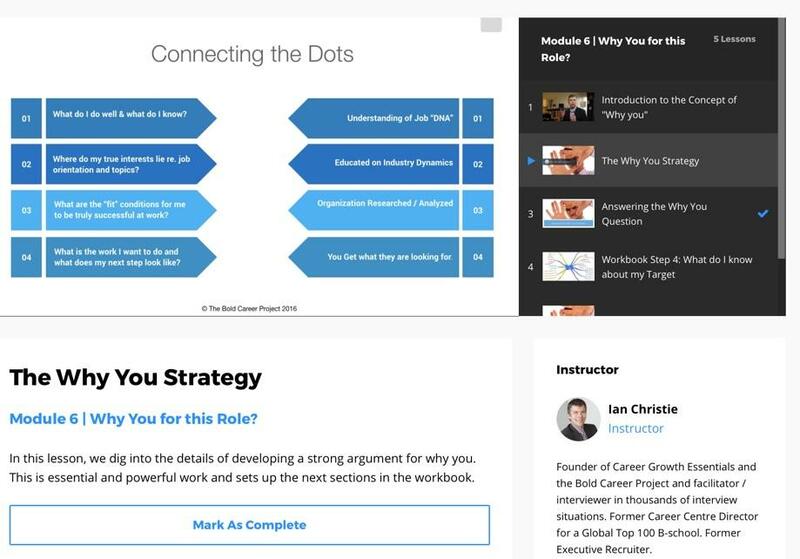 Welcome to Career Growth Essentials, the online training site of the Bold Career Project. My name is Ian Christie and I've designed the resources in this site specifically for professionals who are committed to being more intentional and strategic about the growth of their career. Whether you're making a career move, trying to find a way to make your career progress less accidental or looking to build your career management skills, I'm assembling an arsenal of resources to help power your career growth. 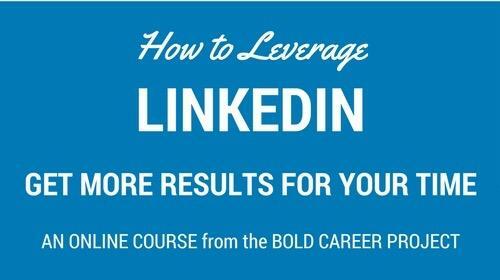 Are You Looking to Take Control & Accelerate Your Career in 2019? 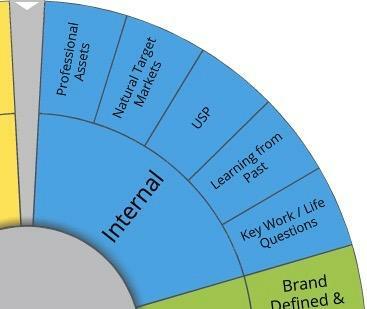 Take the Free 9-Question Assessment [Designed for Executives, Managers & Mid-Career Professionals]. 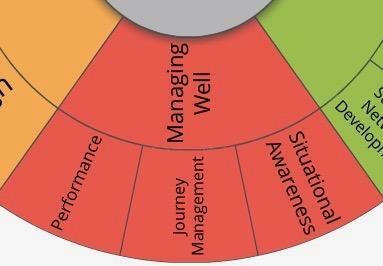 Take this action now to transform your professional state and accelerate your professional progress in 2019. The Internal pillar is the foundational pillar. The Cornerstone. Natural Target Markets: You don't fit everywhere. Get clear on your market. Learning from the Past: Avoidance of past mistakes. Get more aligned with each move & decision. Key Work/Life Questions: Address & resolve, where necessary key work / life questions. External is about if, how much and what the world outside of you and your family think about you as a professional. Branding: Paying attention to how you're portraying yourself, from messaging to LinkedIn & other. Professional Reputation: Taking a purposeful approach to building & managing your reputation. Key Relationships: Valuing your relationships. Strategically developing key relationships. Network Development: Embracing the importance of strategic network development. This is about you in your current work. This zone is about setting and working towards a direction. That you choose. Next Move Planning: Setting-up for the next move. 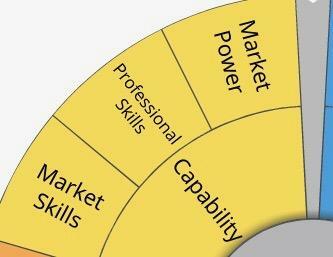 Your focus here is building capability and market power. 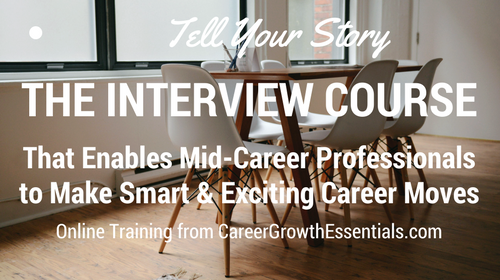 Career Growth Essentials is a growing online platform containing courses, tools and resources. Here are the initial offerings. 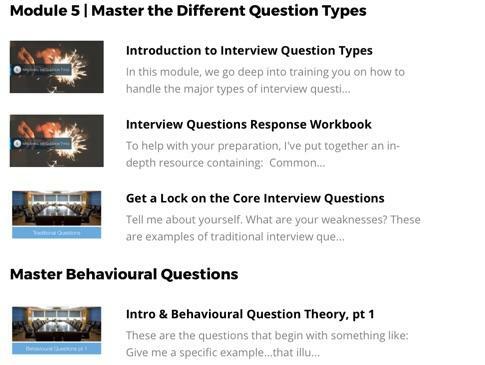 Modules and lessons that lay a path to skill and knowledge development. High-value workbook downloads. Learn at your own pace. Track your progress. 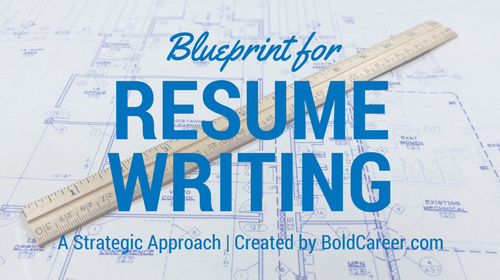 Rather than a bunch of ad hoc tactics, I take a systems approach to your career growth. 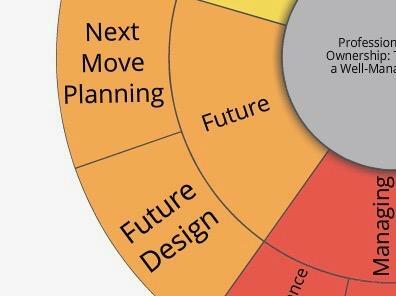 I've led the design & delivery of world-class career programming for a global top 100 b-school. I've been consulting to executives, managers, entrepreneurs & mid-career professionals for many years and I've been an high-end executive search consultant. 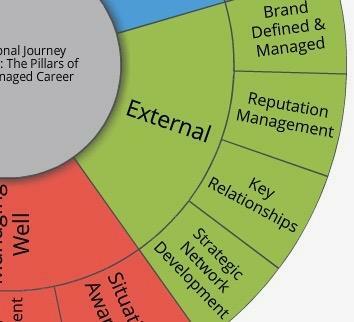 As a way of introducing you to a systems-approach to career growth, I've put together a series of emails that outline the 5 key principles that will help transform the way you think about and manage your career growth.